We are certain that you are familiar with embroidery—even if you had never realized it. Simply put, the definition of embroidery is the art of working ornamental designs onto fabric. Embroidery is typically thought of as a needle and thread that is stitched on fabric, although it can encompass beads, metal, and other objects. To secure the fabric and keep it taut, it is stretched between two hoops—most of the time. Embroidery has been around forever—and that’s not an exaggeration. It’s an ancient craft that first had a practical purpose of repairing clothing. Because garments were so expensive to produce, items of clothing were rarely thrown out; they were mended instead. Embroidery is said to have first appeared in China dating as far back as the third century BCE and there have been examples of early work found in Sweden sometime between 300 and 700 CE. These examples used basic stitch techniques including the running stitch, back stitch, and whip stitch. If you’ve ordered custom embroidery before you’ve probably heard the word “digitizing”. What is embroidery digitizing? Embroidery digitizing is the process of converting artwork into a stitch file that can be read by an embroidery machine and interpreted as different stitch types. Is digitizing a “one step”, click the button process? No. A lot of work is put into a design. The more complex the design the harder it is to digitize. We embroider just about anything. We can do almost any size of embroidery and on most fabrics. 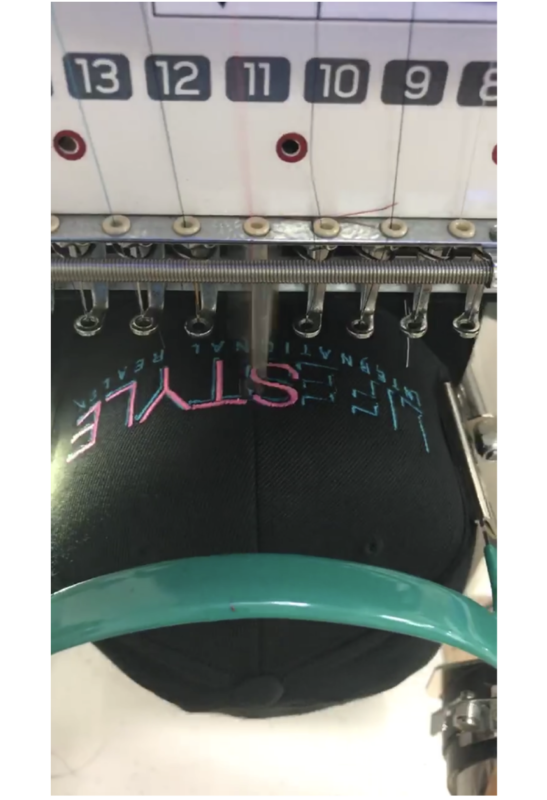 The most common things that we embroider are shirts and hats. We also embroider sports jerseys including baseball, basketball, and football jerseys with names and numbers. For hats we use a flat stitching and 3D puff to give your logo a more attractive look. Screen printing is the most popular form of printing. Sublimation is one of the few ways we print on polyester t-shirts.